Land, Water and Community were often repeated values seen on signs and in persons who are poor and desperate in Honduras. 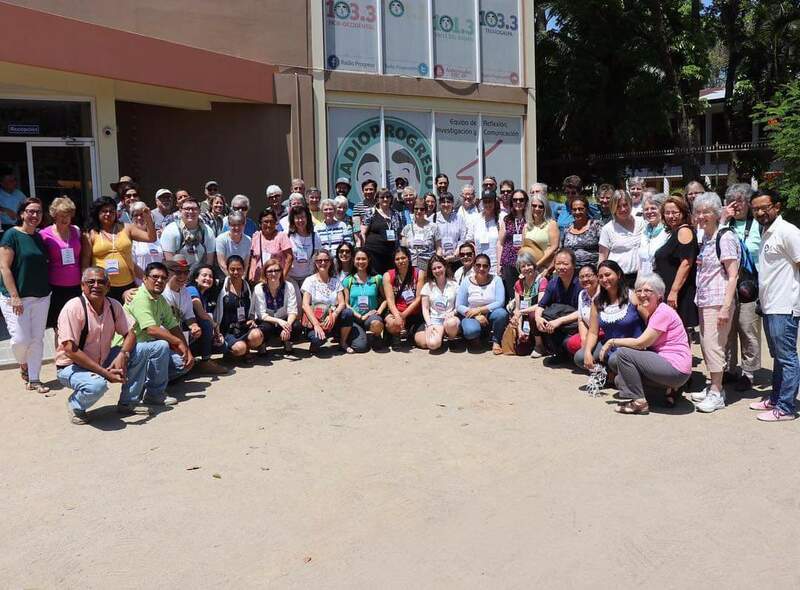 "People of Faith Root Causes Pilgrimage to Honduras" was a diverse gathering of about two dozen Catholic sisters, several Unitarians, and two or three Jewish people — many from California where SHARE-EL SALVADOR is located — several from Peru, and a smattering of others who could translate or with special talents and experience. SHARE has experience at organizing delegations and was one of the sponsors. The Leadership Conference of Women Religious and the Sisters of Mercy were also sponsors. The Interfaith Movement for Human Integrity worked closely with SHARE to organize the delegation outreach and to carry out the activities in Honduras. No words could truly say enough "gracias" for walking with our friends in Honduras as they endure one of the most difficult times. Thank you for sharing our visit with your friends and communities. We are sharing the translation of a list of needs, a project that will support the work of Radio Progreso, ERIC, and our Mercy and Notre Dame sisters. HOW CAN WE SUPPORT HUMAN RIGHTS IN HONDURAS?? March 2, 2019 marked the three-year anniversary of the assassination of Berta Cáceres, the beloved Honduran Indigenous and environmental rights leader, and the Berta Cáceres Human Rights in Honduras Act was re-introduced to continue the call for justice. The Berta Cáceres Act is a landmark bill introduced by Rep. Hank Johnson (D-GA). The Berta Cáceres Act was first introduced in 2016, and it was met with immediate and broad support including endorsements by the AFL-CIO, the Sierra Club, the Indigenous Environmental Network (IEN), and over a hundred other faith, labor, environmental, and human rights organizations. Berta’s family and organization COPINH immediately applauded the action and praised the leadership of these Members of Congress. Sharing a web page designed for all the great articles written during our Honduras Pilgrimage experience. Access the web site by clicking on the button below. 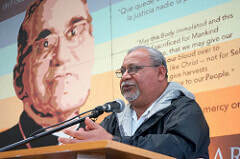 March 14, 2019– A delegation of nearly 75 faith leaders and immigrant justice advocates, mostly from the United States, and several joining from South America, will travel to Honduras March 18-25 to meet with grassroots and religious partners in order to more deeply understand the root causes of migration that have spurred thousands to flee Honduras. the municipality of Tocoa, Honduras. We are writing you with an emergency appeal from our friends at Radio Progreso in Honduras. This week, 12 community leaders and human rights defenders from Guapinól were detained by the Honduran military. Their crime: direct nonviolent organizing against the illegal Inversiones Los Pineras mining project. This criminalization of human rights defenders is consistent with a long history of violent repression by state and private businesses working together in the Bajo Aguán. Between 2010 and 2014, over 100 agrarian reform cooperative leaders and members were killed as they demanded return of stolen land, illegally held by palm oil corporations. A Dignity Camp hosted by members of the Guapinól community to protect against the contamination of their drinking supply was violently evicted twice, by hundreds of police and military officers. The Guapinól 12 have been wrongfully accused of initiating the violence – and now face “preventative detention” requiring them to remain in detention until the trial occurs, which can take up to two and a half years. Additionally they are being denied due process by being tried in a special “terrorism court” outside the regular legal system. This Video by Radio Progreso provides some context to the fight. The video is in Spanish but English translation of the video is here. 1) INTERNATIONAL ACCOMPANIMENT: We are urgently seeking 2-3 people from the United States – especially legal or faith leaders – to travel this week to Tegucigalpa, Honduras and observe the court proceedings on February 28-March 2. The presence of international observers is critical. Jointly we believe we can pull together funding to support at least 1 observer’s travel. If you think you may be able to go (travel would likely be Feb 27-March 2 or 3) please contact José Artiga immediately at jose@share-elsalvador.org or at WhatsApp 1-415-558-8634 to discuss. 3) HUMANITARIAN AID: We will be collecting funds for family members of the 13 political prisoners who are in need of basic needs. You can make a donation to SHARE and earmark for the Guapinol prisoners. A Go Fund Me site will be set up in the next few days. 4) LETTERS: The political prisoners need our letters of moral support. You can easily write a message of hope and solidarity by clicking here. These letters will be read on the radio and delivered to them in jail. Here is more background information on Guapinol 13 and the conflict in the region. 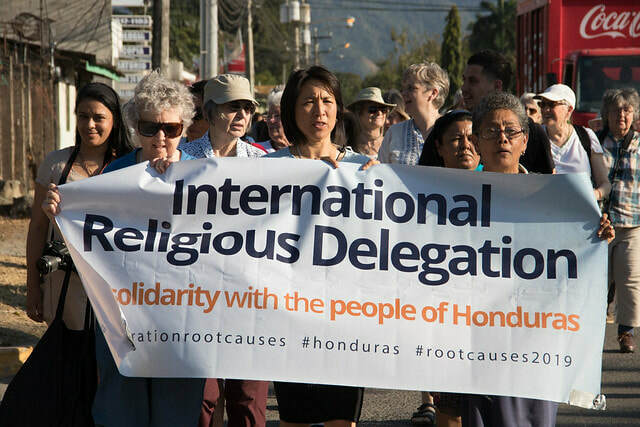 We invite you to join us on March 18-25, 2019 - Interfaith Root Causes Pilgrimage to Honduras. This delegation is timed to mark the 39th anniversary of the martyrdom of Saint Oscar Romero, which we have been asked to commemorate in Honduras this year, and to take part in a theological forum to reflect on St. Romero’s message for today’s Honduran context. We are currently recruiting people of faith interested in making connections across issues, sanctuary congregations, those working with Hondurans and Central Americans, youth, women, indigenous and others interested in learning more about root cause to join us. Our hope for the delegation is also to deepen bonds of solidarity with Honduras and, in particular, to offer the visit as a gesture of international accompaniment. Please consider being part of this delegation, and/or lend any financial support you can, as well as sharing this invitation with your contacts. Cost of the delegation $950 (Does not include air travel to and from Honduras. Includes ground transportation, food, lodging, interpreters, and support to our host). Invitation to join Interfaith Root Causes Pilgrimage to Honduras. In the past months we have witnessed the courage and determination of Central American sisters and brothers traveling north in numbers searching for safety and peace. They are mothers and fathers, sisters and brothers, children fleeing unspeakable violence, repression and economic instability. We have seen the disparagement of refugees and actions from the President of the United States and his Administration in an attempt to deter and turn them away. Now, more than ever, we must shine a light on the forces that compel individuals to leave their homes in desperate search for protection and survival. This is not a time to militarize or close our borders, or be ignorant of our own country’s role in the root causes of migration. Honduras, in particular, has become a furnace of violence. A military coup in June 2009 opened the door to corruption, organized crime and drug cartels, made even worse by a presidential election in November 2017, which was widely considered fraudulent and unconstitutional, and was followed by repression against those who protested. Human rights defenders and those organizing for justice have been assassinated, and many continue to receive death threats. International solidarity is being requested in hopes to bring a measure of human rights protection and support. Since 2015, our organizations have been leading delegations to form partnerships of solidarity with countries of Central America (Honduras, Guatemala and El Salvador) the home of many migrants here in the Bay Area and U.S. We have been invited by our friend and partner, Jesuit priest, Fr. Melo, Director of Radio Progreso/ERIC, one of the leading research, communications and movement building organizations in Honduras. 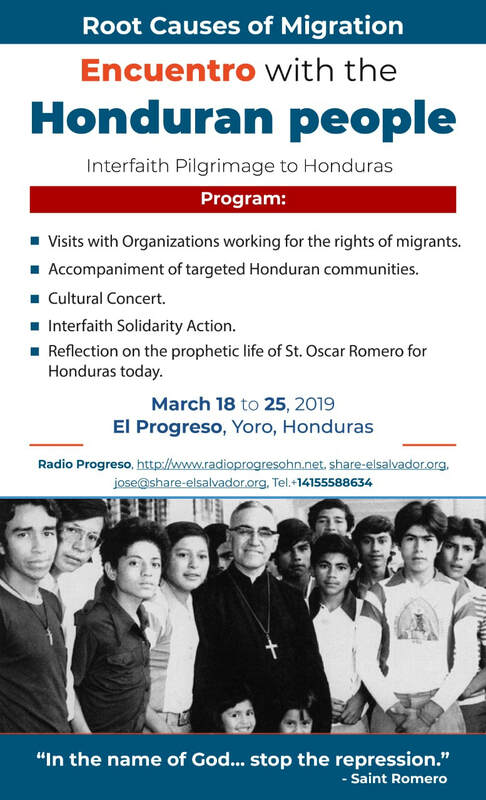 This spring 2019, we have been invited to bring a delegation to commemorate the 39th Anniversary of St. Oscar Romero with the people of Honduras, and to accompany and visit local community struggles and those organizations addressing issues of migration. What are the objetives of this pilgrimage? 1. Listen and meet with grassroots and religious partners in Honduras to more deeply understand the regional root causes of migration and hear recommendations of solutions that would help to end forced migration and displacement. 3. 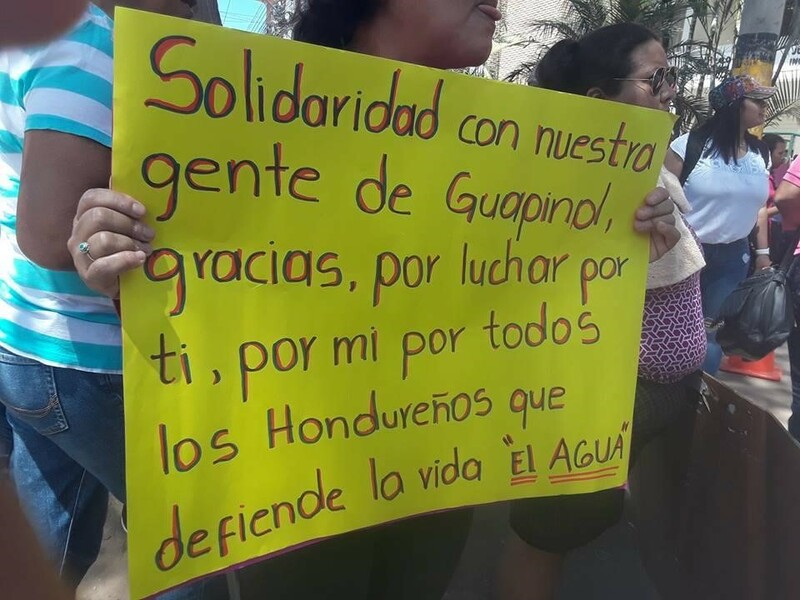 Provide accompaniment and solidarity with Honduran communities who are fighting root causes of displacement, land and water defenders, indigenous communities and those protecting human rights. Who are the sponsoring organizations? ​SHARE has 37 years’ experience organizing delegations to El Salvador and the region. The Interfaith Movement is one of the leaders of the Sanctuary movement accompanying immigrants and those facing detention and deportation in the US. ​What are the dates and arrival location for the honduras pilgrimage? Honduras: March 18-25, 2019. Arriving Arrive in San Pedro Sula Airport (NOT Tegucigalpa) between 10 am and 2 pm on March 18th. And depart morning or afternoon on March 25th also from San Pedro Sula (NOT Tegucigalpa). The cost of the pilgrimage to Honduras is $950 per person. This includes all housing, food, translation, partner honoraria, and in-country transportation. It does NOT include round-trip airfare from your home to Honduras. There is limited financial aid available on a need basis. We have many suggestions of how you can fundraise for this trip. ​Who should come on this program? Interfaith religious leaders and activists. Elected officials and or their aids. Younger folks and people of color are particularly encouraged to apply. ​Are there concerns about safety? Honduras is one of the most violent countries in the region. Our itinerary is developed in close collaboration with Honduran partners, who are aware of risks and mindful to reduce them in every possible way. We will be lodged in secure locations and will not be traveling at night nor into the most isolated areas; being part of a group in itself provides some safety. We will not participate in demonstrations or knowingly enter situations that would put us at risk. Nevertheless, it is important to know that Honduras has high levels of crime, gang activity, and state-sanctioned repression. This is part of the daily reality lived by Hondurans, and contributes heavily to the continuous flow of people who can no longer live safely at home and who seek asylum elsewhere, including in the United States. This delegation is one of accompaniment, and we encourage participants to consider both the risks and the rewards of this form of activism. ​What are the expectations for preparation and follow-up for this trip? Some weeks before the program begins, you’ll be asked to engage with study materials that will help you understand the people and places we will visit, as well as the long history of US intervention in Honduras. On your return home, we hope you will find many ways to share your experience and all that you’ve learned with your community and engage with your local congressmembers. We will support you with ideas and resources for action and advocacy. Those with particular skills will be asked to organize presentations, blog, write and conduct media. When is the Registration Deadline? How do I sign up?